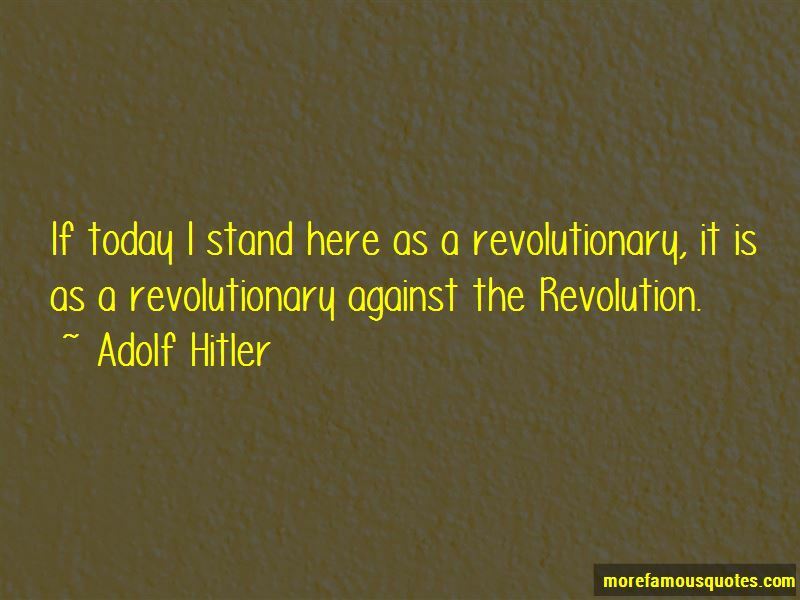 Enjoy the top 702 famous quotes, sayings and quotations by Adolf Hitler. “Kill, Destroy, Sack, Tell lie; how much you want after victory nobody asks why? The question of 'nationalizing' a people is first and foremost one of establishing healthy social conditions which will furnish the grounds that are necessary for the education of the individual. For only when family upbringing and school education have inculcated in the individual a knowledge of the cultural and economic and, above all, the political greatness of his own country - then, and then only, will it be possible for him to feel proud of being a citizen of such a country. What are called the middle schools is still very unsatisfactory. Few teachers realize that the purpose of teaching history is not the memorizing of some dates and facts, that the student is not interested in knowing the exact date of a battle or the birthday of some marshal or other, and not at all - or at least only very insignificantly - interested in knowing when the crown of his fathers was placed on the brow of some monarch. These are certainly not looked upon as important matters. 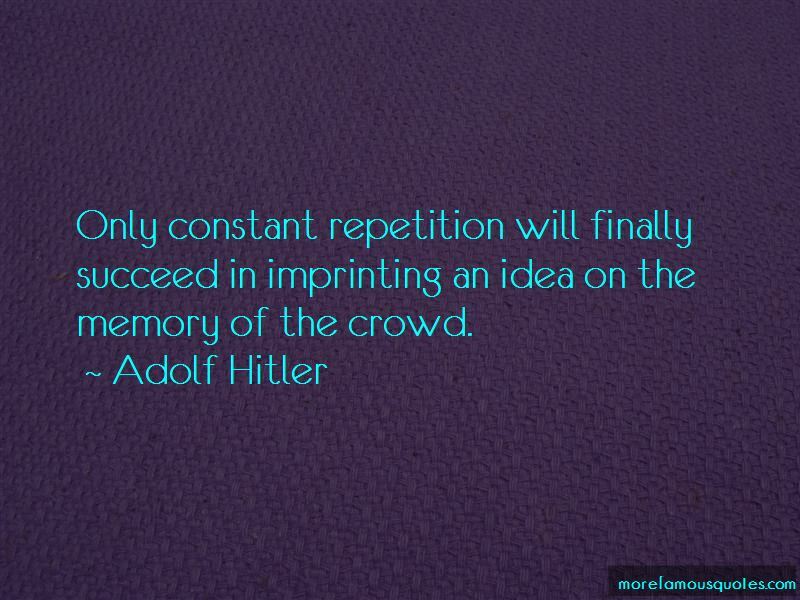 Only constant repetition will finally succeed in imprinting an idea on the memory of the crowd. Pacifism is simply undisguised cowardice. I know that one is able to win people far more by the spoken that by the written word, and that every great movement on this globe owes its rise to the great speakers and not to the great writers. I looked at [Goering eating sausage] and I knew that what they say was true: that pigs eat the flesh of their own. 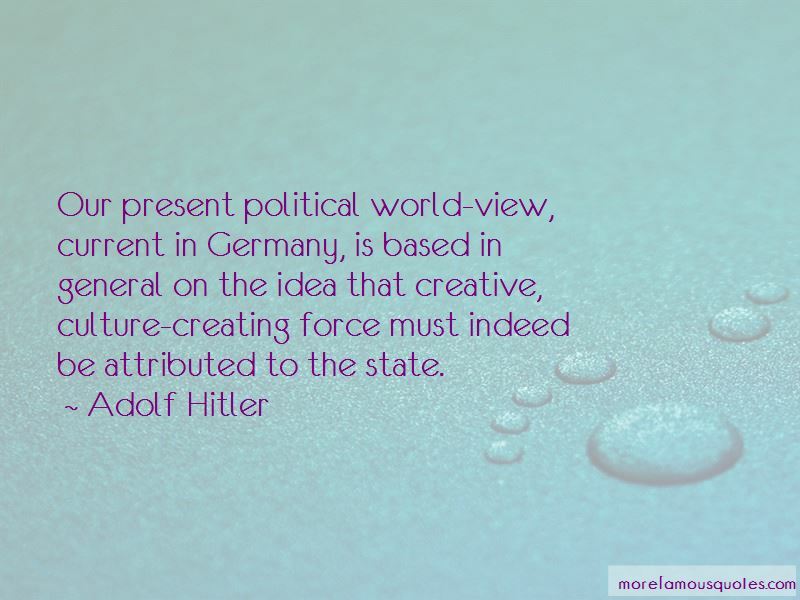 Want to see more pictures of Adolf Hitler quotes? 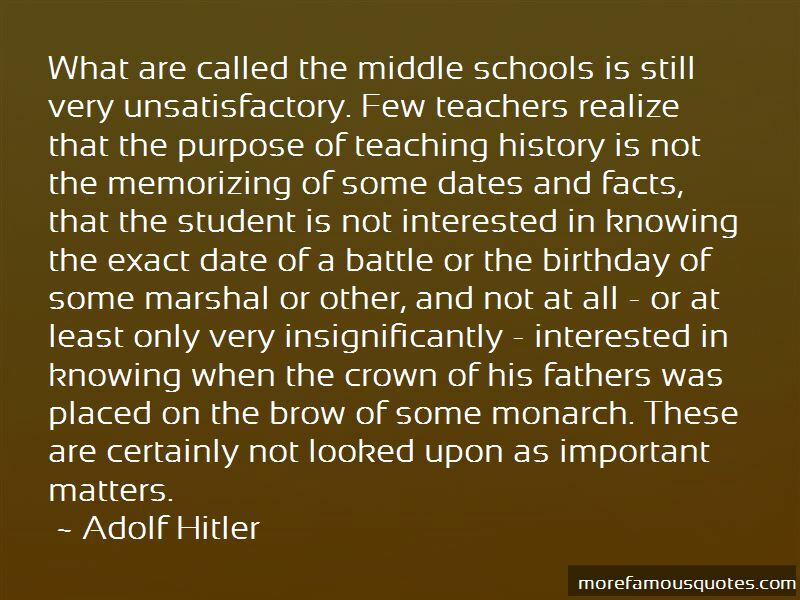 Click on image of Adolf Hitler quotes to view full size.